What Makes Level 2 Chargers So Desirable? The level 1 charger is a 120 volt AC charger that’s basically amounts to plugging your car into a standard household outlet. While this type of technology is simple to understand and simple to install and use it can also be painfully slow for an EV owner in a hurry. The level 3 charger is a 480 volt DC charger that will charge a typical electric vehicle battery in under an hour in most cases. (It’s not known as the “Fast Charger” for nothing.) If there’s a drawback to this type of charger it’s the cost, which can be prohibitive for many homeowners in particular. The level 4 charger is a Tesla product intended to be used solely with Tesla EVs. As such the major drawback to this type of charger is compatibility. While the 3 other levels of charger are all compatible with multiple different EV brands with level 4 it’s Tesla or nothing. As you can see each of the other 3 levels of charger has at least one significant potential drawback. With level 1 it’s speed, with level 3 it’s price and with level 4 it’s compatibility. That’s why level 2 chargers have garnered so much positive spin. There are no significant drawbacks when talking about this type of charger. 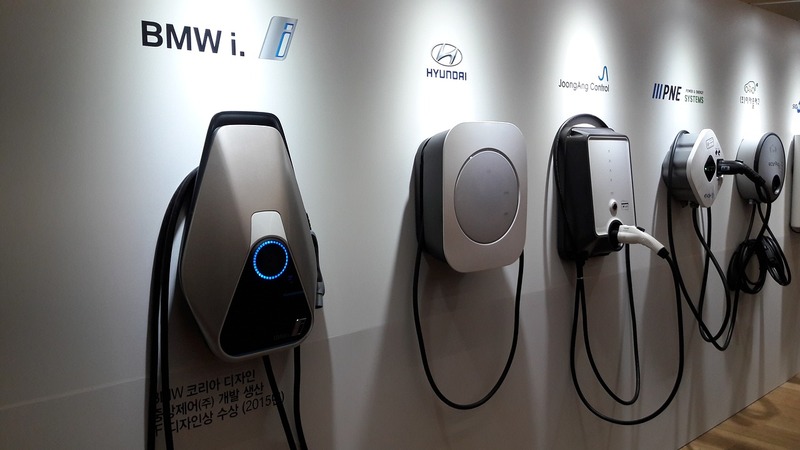 They’re fast, (typically 2 or 3 times faster than level 1 chargers), they use AC current so you don’t need an adapter, they’re widely compatible with a number of different brands of EV and to top it all off they’re affordable. Even more so these days since the government of Ontario has seen fit to offer purchase and installation rebates totalling $1,000 on all Level 2 chargers installed for use with your personal or business EV. EVdirect specializes in the sale and installation of EV Charging Station for home or business use. We’ll also help you apply for that handsome rebate the provincial government is offering on versatile, affordable Level 2 chargers. Give us a call to find out more about having one or more installed in your home garage or business car park.